Interval training is a form of conditioning that utilizes specific work-to-rest ratios. This method increases the storage and delivery of energy for physical activity in an individual, also known as metabolic conditioning. How do I interval train? Interval training sessions are performed by doing a bout of exercise for a specific period of time followed by a period of rest to allow the body to recover. The length of the rest period will be dictated by the conditioning of the individual and the intensity of the work period. Generally when people do cardio or conditioning they either implement interval training or steady state activities (walking or jogging for extended periods of time). 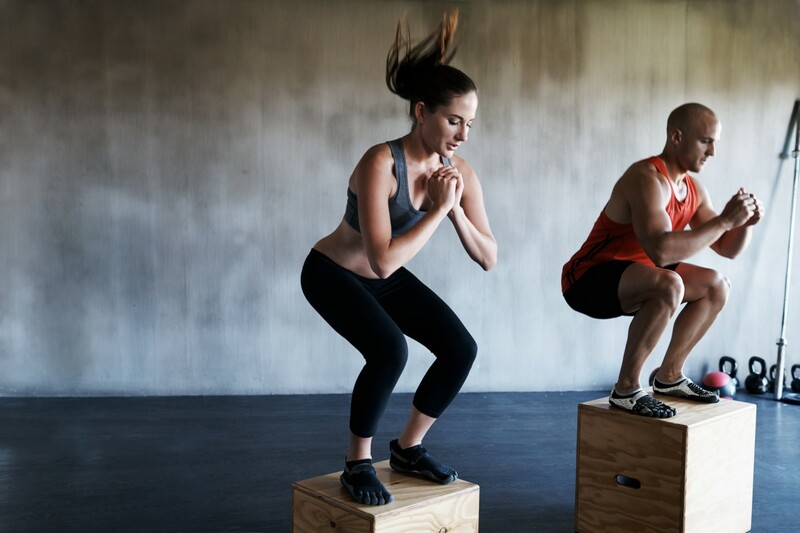 Both will lead to positive health changes, but interval training is far more efficient and beneficial when it comes to achieving your fitness goals. A popular form of interval training is called a tabata, which is a type of high intensity work out. During a tabata an individual will utilize movements that can include bodyweight, medicine ball, and moderate plyometrics. These movements will be performed for a total of 4 minutes using a work to rest ratio of 20 to 10. This just means that you will perform the movement using intervals of 20 seconds with 10 seconds of rest in between. You can choose to do multiple bouts of 4 minutes, but that will depend on the conditioning of the indinvidual. Generally this is for more advanced athletes, and a high level of fitness is needed to complete this type of circuit. Why is this superior to aerobic training? • Studies have shown that short high intensity workouts can improve your cardiovascular adaptations more than steady state running, along with improving your anaerobic capacities which will be more related to sprinting. • You can see more improved health qualities by doing short high intensity workout lasting under ten minutes. Running can be tedious and hard on the joints with less of an overall benefit. • You can choose your own work to rest ratios based off your own conditioning level. If you are an advanced athlete with a high level of conditioning you can choose to use work to rest ratios that are around 1:1. If you are a beginner with a lower level of conditioning you can start off with a work to rest ratio of 1:3 and work your way up to 1:1. • The spike in your metabolism will be much higher after a bout of high intensity interval training compared to steady state running. This means that your total calories burned will be much higher performing high intensity work that takes much less time. • A beginner can use a bike or a rowing machine to do intervals until they have achieved a fitness level to do more complex movements. Perform this circuit 5 times through resting a minute between each circuit. No Comments to "Interval Training"